One of the first activities we always do with our fraction unit is to make a fraction kit. I gave each student eight pieces of 1X12 inch construction paper. The first piece of paper, we labeled “one whole”. The second piece of paper needed to be cut into halves. In the past we’ve done this by folding the paper. This year, I wanted to expose the students to fractions on a number line and ruler right away. 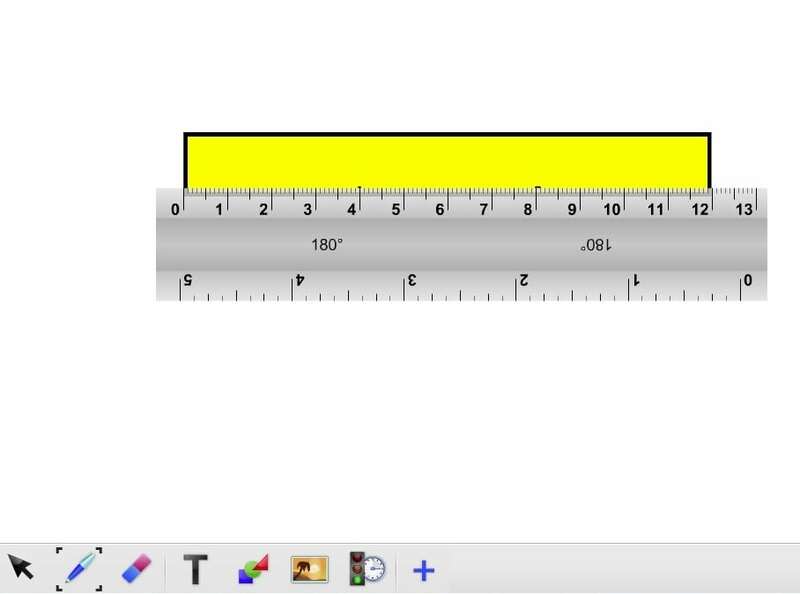 To explain fractions by using the ruler, we first discussed how to find half of twelve inches. 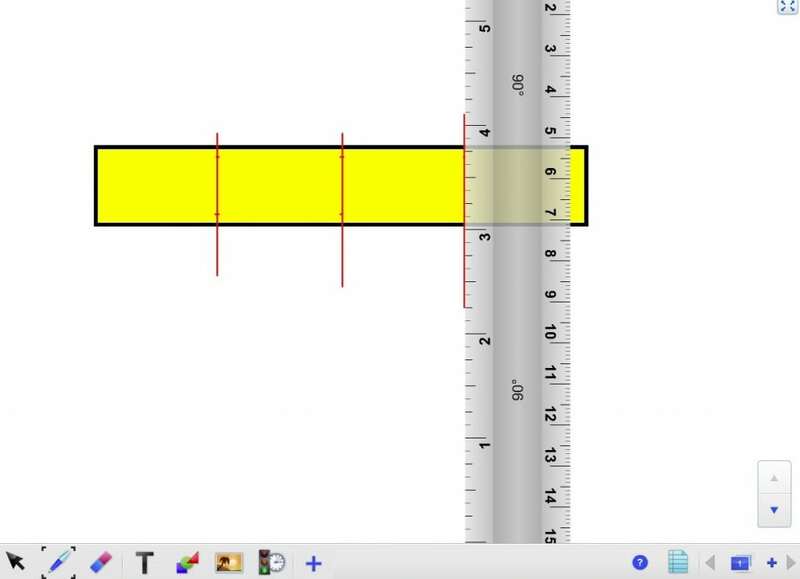 After agreeing that 6 inches was half of 12 inches, we put a dot on the bottom of our strip of paper and moved the ruler to the top to mark a second dot. Due to the color of the construction paper, it was difficult for the students to see my marks. 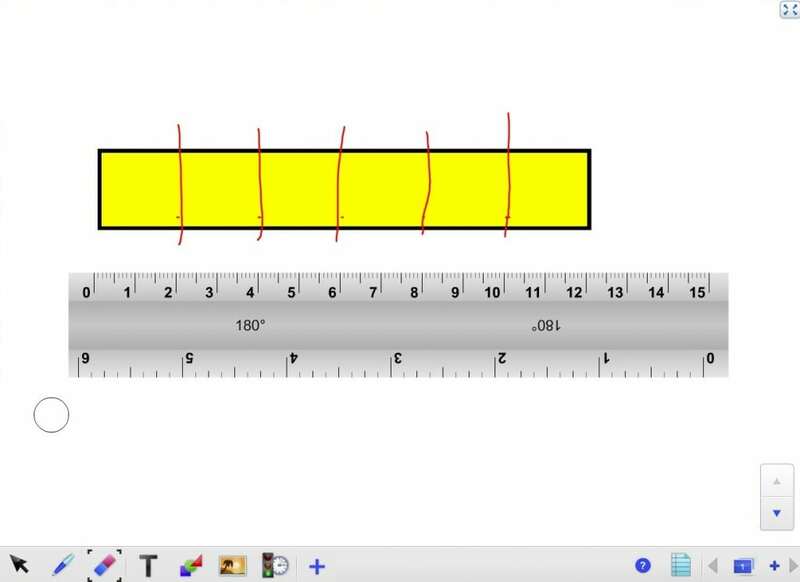 When we started dividing our next construction strip into thirds, I finally got the great idea of opening Gynzy and using the online ruler tool. Secondly, open a rectangle at the bottom menu of Gynzy. This was a great idea until I realized that I couldn’t fit 12 inches on the screen. This lead to a great discussion about inches versus centimeters. One student then pointed out that I could use the centimeter ruler to model while the class continued to use their inches ruler. 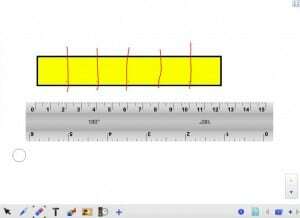 Now I could show the students how to place the ruler on their paper to mark off the inches. After marking dots on the bottom of the paper, we moved up the ruler to mark off our inches on the top as well. Then we used our ruler to draw straight lines to guide us when we cut our strips. I also modeled what happened when we didn’t use a ruler to draw a straight line. We continued dividing our strips of paper into fractions with the use of Gynzy. And then the fun started. The students explored with their kids and played games with their math partners. These fractions kits will continue to be used for the rest of the year. 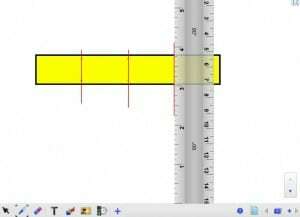 Conclusion: The ruler is a great tool to measure things or to draw a straight line in a very simple way. 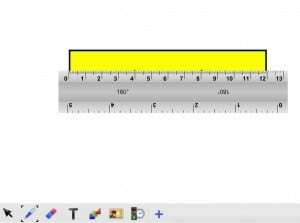 The ruler is adjustable in size and can be used on the entire page. Thanks Gynzy for helping us create our fraction kits. Besides the kit there are many other Gynzy tools to train your students fraction skills. Check out this blog to see what the possibilities are.